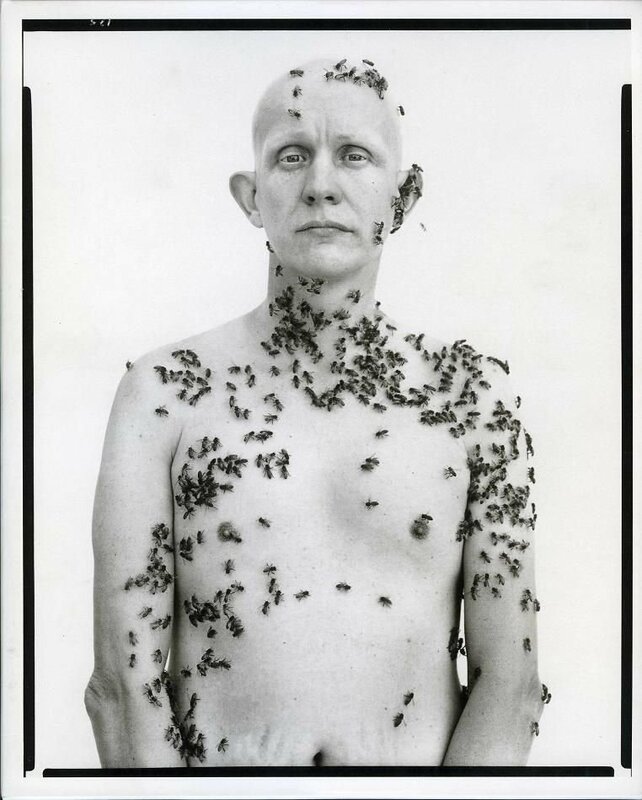 Ronald Fischer, Beekeeper by Richard Avedon, 1981. To get the bees to land on Fischer, photographer Richard Avedon enlisted the help of UC Davis entomologist (and professional bee wrangler) Dr. Norman Gary, who smeared the beekeeper with queen bee pheromone and a dash of plant extract similar to peppermint — a method he devised himself. Norman Gary, a professor emeritus, also has quite the impressive imdb page — with bee wrangling credits ranging from My Girl to The X-Files.